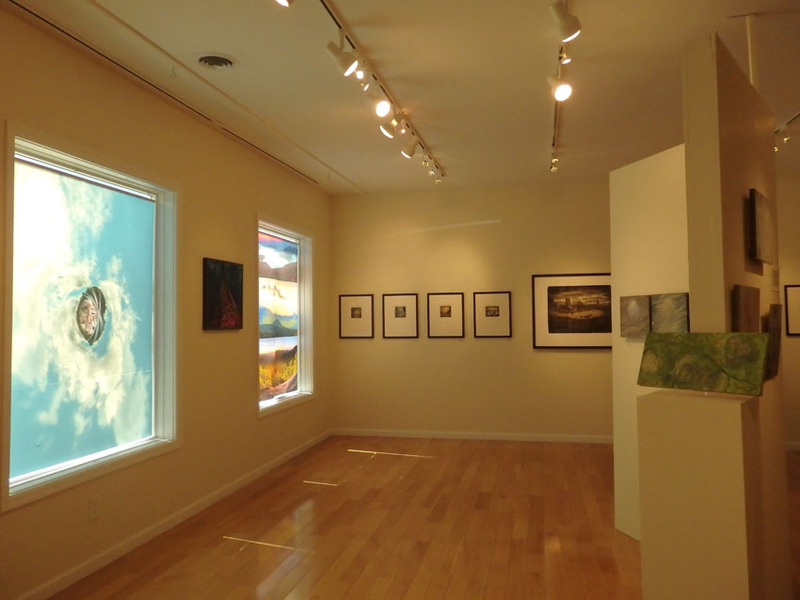 If you like art that’s daring, original, visionary, really pushes the envelope, you shouldn’t miss the new photography exhibit, Light Sensitive, that opened last weekend at the Kaaterskill Fine Arts & Crafts Gallery in Hunter. Carolyn Bennett has brought together three amazing artists, all of whom know one another, live within a few miles of one another (two in Palenville and one in Catskill), and are as different in their approach to their art as you can possibly imagine. What’s more remarkable is that all three are photographers — this exhibit pushes the limits of what photography can do beyond anything I’ve ever seen. 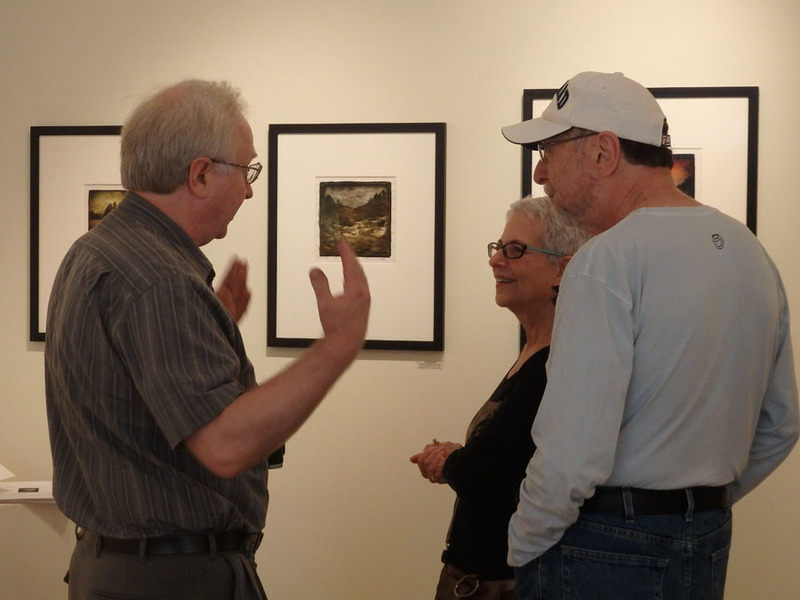 Dan Burkholder describes his working methods to some gallery visitors. One of his images is on the wall. 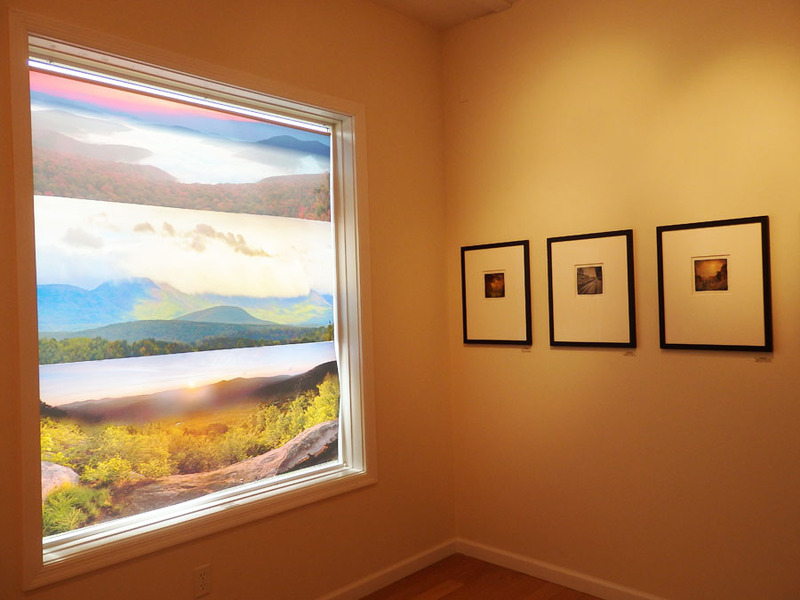 Dan Burkholder is at home in both the traditional and the digital darkrooms and uses his skills to create hauntingly exquisite scenes of the surrounding Catskills area as well as further afield (images from Italy were particularly compelling). His style is distinctive and consistent. I knew Dan originally through the West Coast photographer William Neill, who is unarguably one of the greatest living photographers of the scenic world. You can’t get a better recommendation than that. Fawn Potash is the most experimental artist of the three, combining medical imagery, satellite photography, and botanical studies to produce a series called Bodies of Water Close to Home. She explained to me how she saw resemblances between leaves, for example, and the systems in the human body, and how she created artworks to bring this out. I couldn’t help thinking of the writings of the medieval naturalist and theologian Hildegard of Bingen. Light Sensitive is open through approximately the end of September. 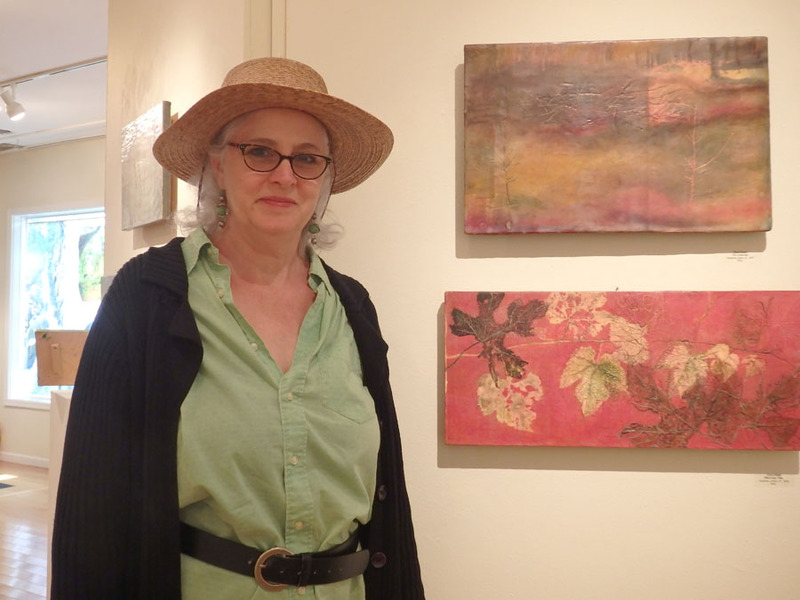 Be sure to stop in at the Kaaterskill Fine Arts & Crafts Gallery and have a look. 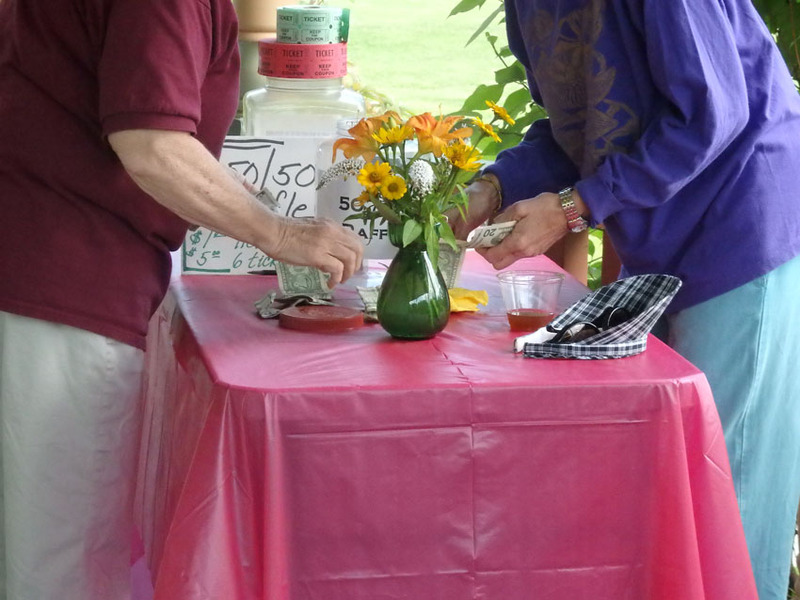 Sunday saw two anniversary celebrations among the arts community on the Mountain Top. 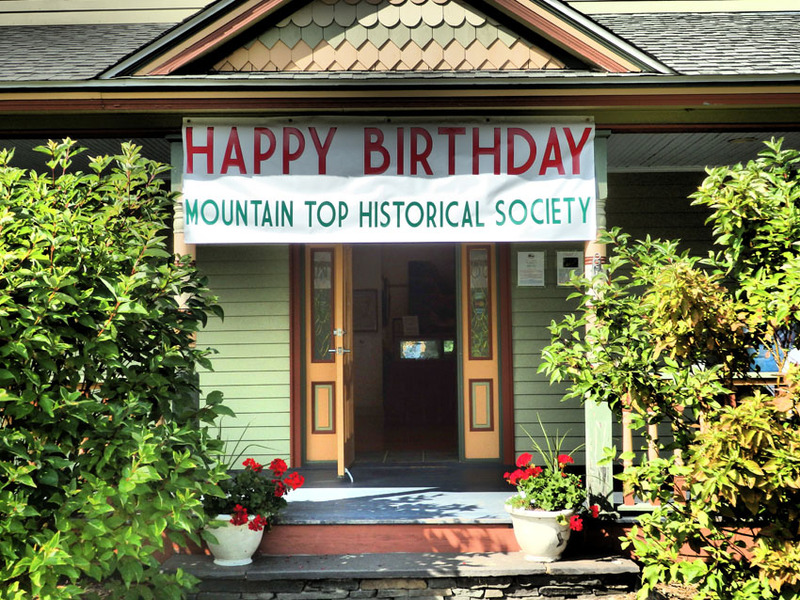 In Haines Falls, the Mountain Top Historical Society threw a party for its fortieth anniversary. 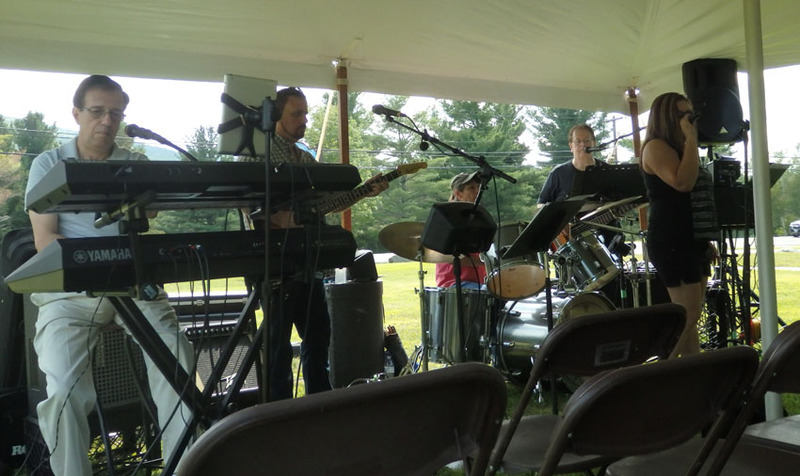 Ice cream, cake, lemonade, and ice tea were offered for our enjoyment, and top-notch music from the fifties performed by the Rhythm and Blues Band ensured that it was great fun to “twist gain, like we did last summer” — or perhaps more summers ago than I care to count…. Earlier in the day, Larry Tompkins gave a presentation on historic Windham. Alas, other commitments meant I had to miss this, but MTHS President Cyndi LaPierre assured me that it was well attended. The MTHS has the friendliest, most dedicated, and most knowledgeable people you can imagine. Stop into their colorful headquarters the next time you’re driving along Route 23A — you can find details on their website — and while you’re there, check out my photography exhibition “Natural and Historic Landscapes,” open through Labor Day weekend! 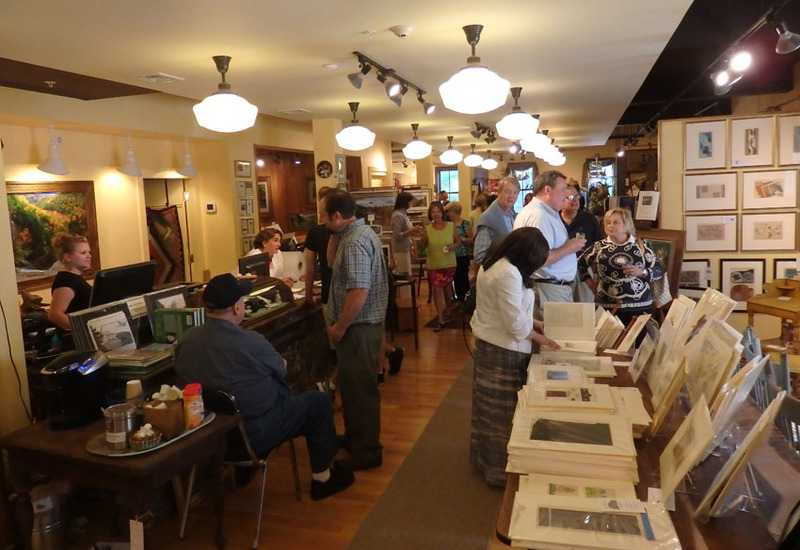 The other celebration was taking place in Tannersville, where the Tannersville Antique and Artisan Center was celebrating the first anniversary of being in business. The place was alive with well-wishers, and I also met some of the regulars whose work is for sale there, including photographer Francis Driscoll and local historian/author John Ham. 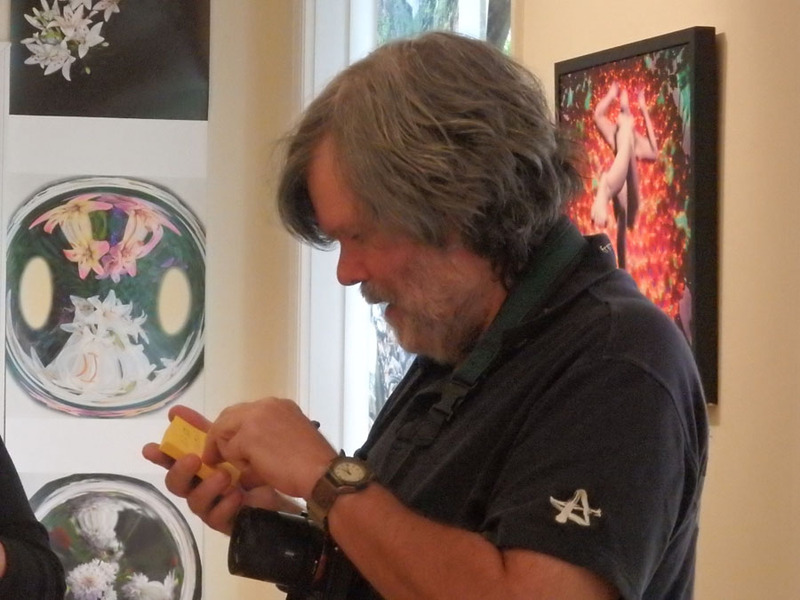 Rick Thomas has done a superb job of bringing together gifted regional artists and collectors to a bright, friendly venue where you’re sure to find something you’ll want to buy, for yourself or for a gift. eye-opening photography show that’s opening this weekend. Carolyn Bennett is always on the lookout for interesting artists to showcase, and this time she has managed to find three photographers whose work really pushes the envelope as to what can be done in the medium. Palenville’s Dan Burkholder I’ve been familiar with from Facebook and his website and was glad for this opportunity to see some of his fine work “in person.” While I was there I met Vincent Bilotta, also from Palenville, who was busy hanging his portion of the exhibit. The third photographer is Fawn Potash from Catskill and I look forward to being able to study her work more closely. The opening reception for “Light Sensitive” is this Saturday August 16, 2 to 4 pm at the Kaaterskill Fine Arts & Crafts Gallery, Route 23A in Hunter. Hope to see you there!